This DIY Wrap Dress Tutorial is probably my favorite curly project till this day! 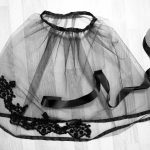 This lovely dress is made all out of black tulle and it is incredibly easy to make. You can make this dress in just one day! The whole concept of making a wrap dress from black tulle was inspired by the amazing Dita von Teese. I absolutely adore her style and boldness. When I saw her in a see-through wrap gown I knew I had to make one too! The dress consists of two major parts – the full circle skirt and the bodice – so I divided the tutorial in two as well. In the first part of the tutorial, you will learn how to make the bottom of the wrap dress. You will need two patterns for a full circle skirt. One longer one for tulle skirt and one that is shorter for the lining. By all means, you can make your underlining as long as tulle skirt, but the tulle won’t be really visible then. 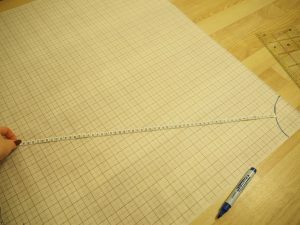 In order to make a pattern for a circle skirt, you need to measure your waist. I added 2 cm to my measurement to get some extra fabric that will later create overlaps in the front. Then, think how much of your thigh do you want to cover and again, measure the distance between this point on your leg and your waist. That will be the length of your underlining. If you don’t feel confident with mathematics (or you’re just lazy, like me) use this circle skirt calculator. 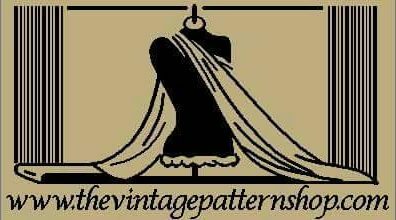 It’s very simple to use and it counts everything you need to make your pattern for you. You’re welcome. It will calculate the radius of your waist. Let’s say it is 10 cm. Take a measuring tape. Anchor it in the corner of the pattern making paper and draw points 10 cm away from this point till you have a quarter of a circle. Next, take the length of your skirt (let’s say 60 cm) and draw points 60 cm away from that first circle. Do the same for the pattern of the underlining, but make sure it is shorter than the skirt piece. I decided that one layer of tulle was not enough, so I had to cut out two pattern pieces for both left side and right side of the skirt. Usually, you have front and back of the skirt, but since we want them to meet in the middle on the front, we will connect the two parts with a back seam. To get all the pieces first fold your material in half and cut two half circles on the fold. 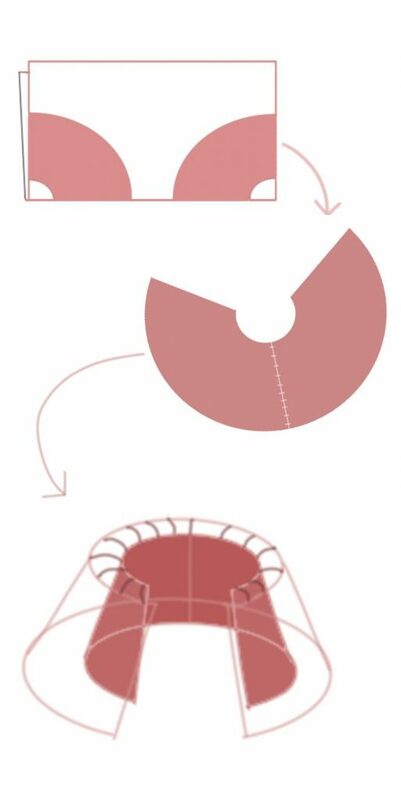 Repeat the process to get 4 half circle pieces for the tulle skirt. Then, fold your lining material in half and cut out two half circles on the fold (in the same way you cut out tulle). You should have four pieces of tulle skirt and two pieces for the underlining skirt. First, take two half circles of tulle and baste them together at the waist and on one side seam. Repeat with other two pieces. Next, take the basted tulle circles and sew them together at the side seam that you basted. This will create the back seam of your skirt. Before sewing the underlining I serged it around with two thread rolled hem. Pin and sew together the underlining skirt at the back seam. Pin the underlining to the tulle skirt and make sure that back seams are aligned. Once you have your skirt ready, check if you are happy with the overlaps. I had enough extra material on both sides to cover up the front seam. However, I thought that if I don’t have enough to wrap my dress comfortably, I would cut out one more piece of the circle skirt, but probably just a quarter. I would have used the pattern I already have, but I wouldn’t cut the circle on the fold, but only one layer instead. Once I wrapped the skirt around me, I realized that the underlining is sticking out from under the tulle when I’m moving. I didn’t like the way it looked, so I attached underlining to tulle on the front overlap. There is no need to hem the tulle skirt. Your skirt is ready, so you are halfway done with your DIY wrap dress! The second part of the tutorial is coming soon, so stay tuned.